Business cards have a small surface area to communicate a great deal of information. 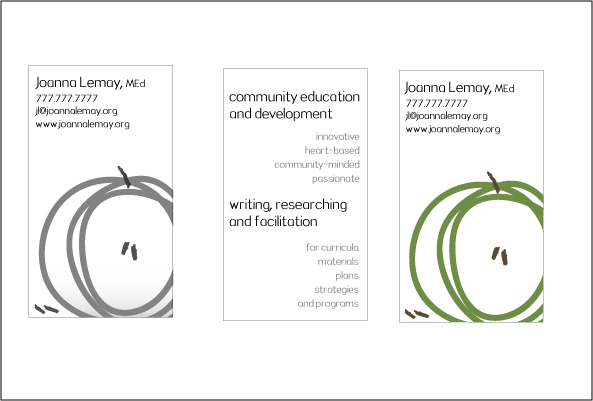 Joanna Lemay is a community educator. Her business cards needed to reflect a balance between her concrete community development skills and her unique heart-based approach. Pause is a new yoga business in Vancouver, BC. It’s hard to squeeze in another commitment after work- Nick Cole and Andrea Freeman can come to your office and lead relaxing, positive yoga classes. Congratulations to Joanna, Andrea and Nick in their new ventures!